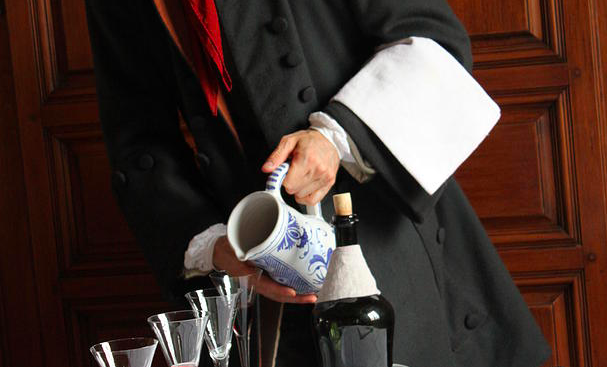 Philippe de Rigaud, marquis de Vaudreuil and governor general of New France from 1703 to 1725, owned fifteen-dozen glasses at the time of his death. These were described in his probate inventory as vers de fougère, a greenish-yellow glass known as forest glass or Waldglas in German. 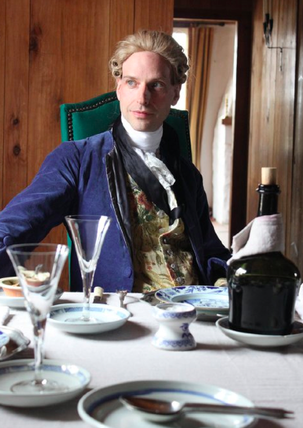 Forest glass was popular for wineglasses in the seventeenth and early eighteenth centuries. 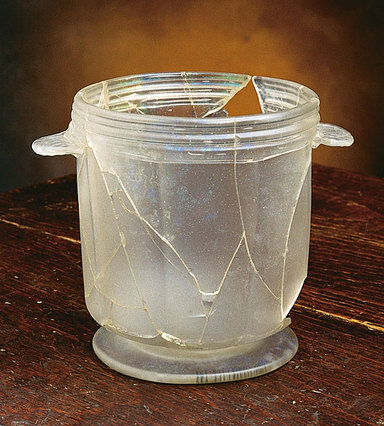 Clear glass drinking vessels, like the wineglasses seen below and recovered from merchants' homes in Québec, can also be documented. 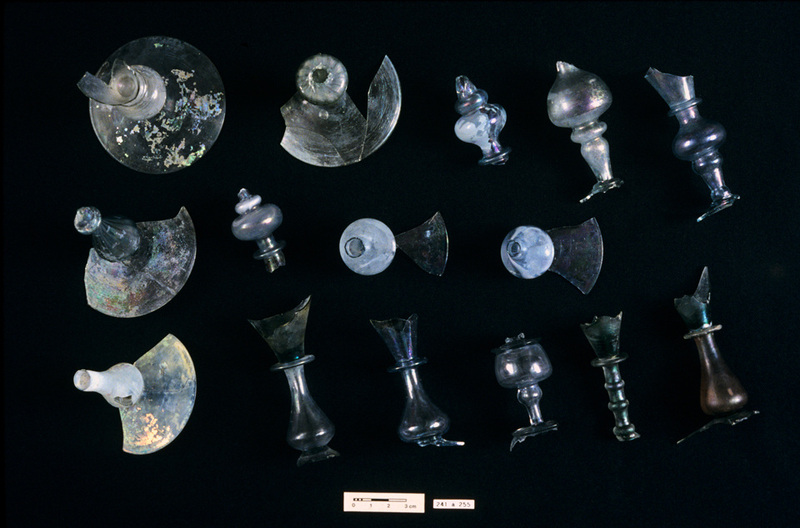 An array of broken wineglasses recovered from the home of François Martel de Brouague in Québec provides a snapshot of forms and styles available a few decades later. A noble merchant born in Québec in 1692, Martel de Brouague was commandant of Labrador from 1717 until his death in the early 1760s. Living at post of Phélypeaux in Labrador from about 1730 to 1740, he returned to Québec by 1746 when he, his nobly-born Canadian wife Louise Mariauchaud d'Esgly, and their six daughters first took up residence in a house built by bourgeois-turned nobleman Charles Aubert de La Chesnaye. This waterfront home, one of the most prestigious in Québec, was completed between 1660 and 1679. ​The French glass stems and bases seen above were recovered from a feature in Martel de Brouague's Québec residence that has been dated between roughly 1746 and 1760. 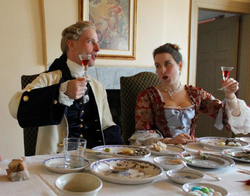 The privy of the Perthuis house, home to a family of prominent merchants and civil servants in the first half of the eighteenth century, has also yielded clues pertaining to the use and consumption of glass by the elite inhabitants of Québec's Lower Town. The Dutch wineglass rinser or rafraîchissoir à verre seen at left presumably formed a set and would have added to the elegance of the Perthuis family's table before it was broken. 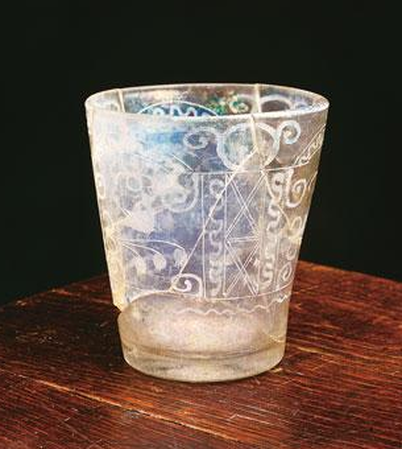 Seen below, a cylindrical drinking glass made in either a German state or Bohemia and found at the Perthuis House also witness to the international potential of glass forms in New France. Distinguished by its decorative etching, the glass is embellished with scrolling volutes, flowers, and birds. Glass might also be decorative. 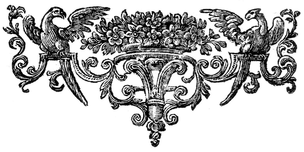 The mantlepiece of Québec bourgeois Philippe Peiré's chambre was embellished with "six white glass carafes serving as a garniture" in March of 1733.